Even though the 2015 Force Friday event was a rather lackluster affair all over the world, Hasbro still managed to actually get some of the Star Wars: The Force Awakens everywhere well in advance of the movie premiere. 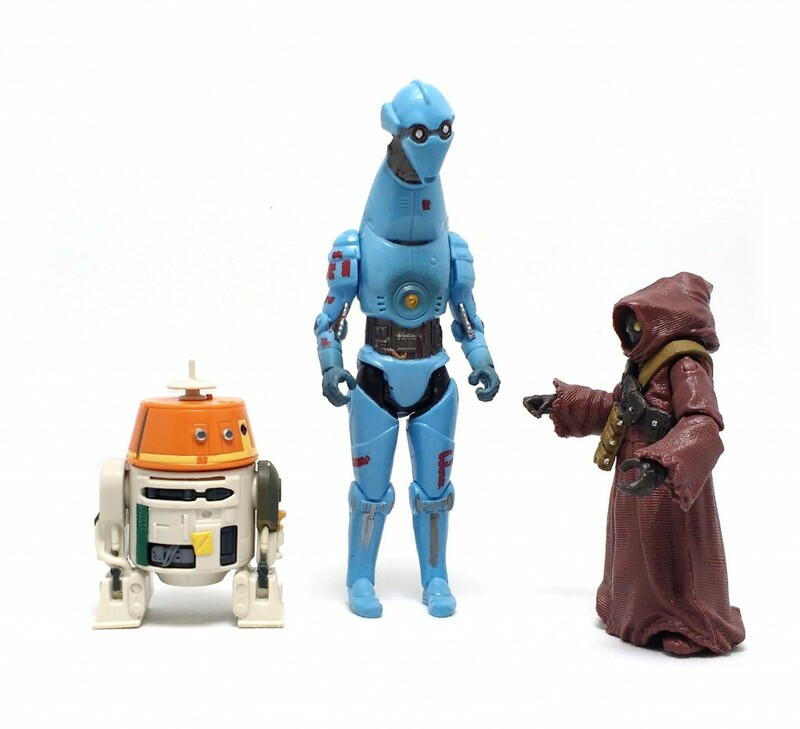 Of course, this meant that most people had no idea what to expect from the characters released in the first few waves of action figures. 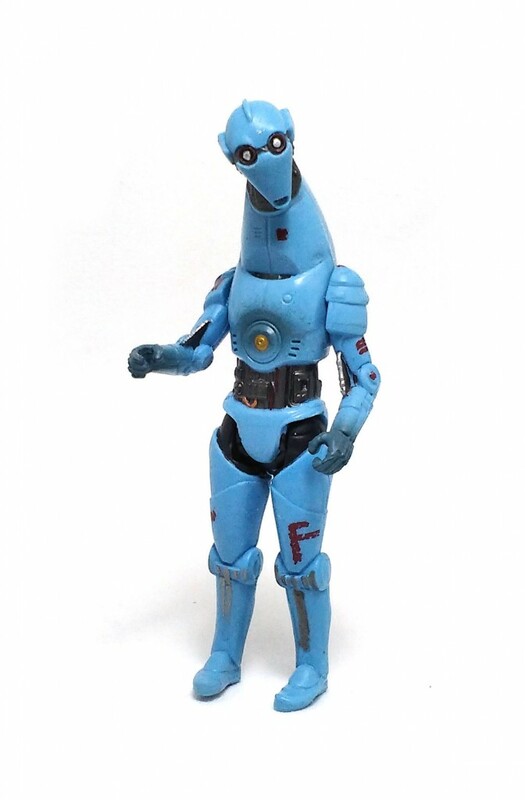 While some would wait until seeing the movie before buying into the line, I thought that aliens and droids were a pretty safe bet, so I went out and bought PZ-4CO, the first droid released individually in the 3.75-inch line. PZ-4CO is a communications droid that was seen briefly at the Resistance base scenes in the episode VII movie. The figure looks very retro, in part because of the five point articulation design but also because the aesthetics of the droid remind me of old 70’s sci-fi shows, the kind where you could clearly see how a man would fit inside a costume. 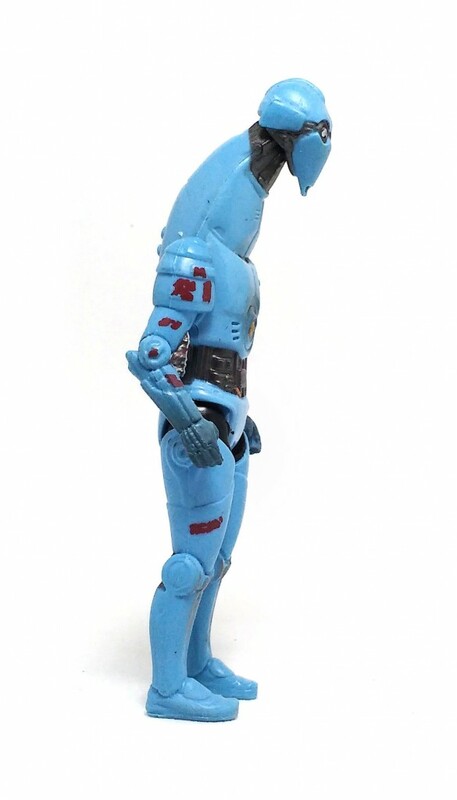 Articulation is also of the vintage style, consisting in swivel cuts for shoulders and hips, with the ball joint at the neck being the only concession to modern toy design. 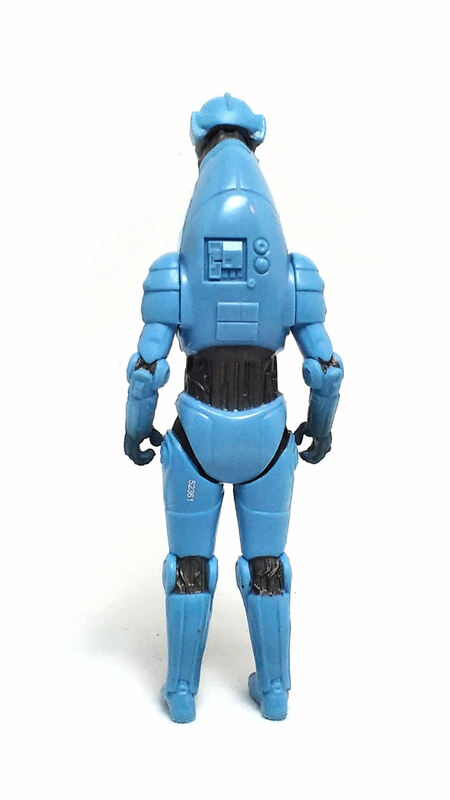 The oddest part of the figure is probably the color scheme, as this droid is made from light blue plastic in a hue that I don’t think we have ever seen used in the Star Wars films. 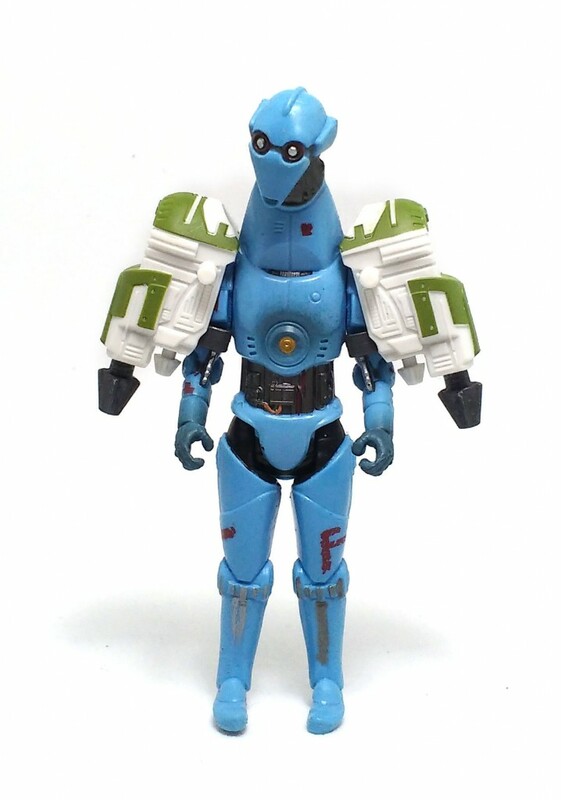 In the TFA movie, PZ-4CO tended to blend in with the surroundings but, in action figure form this droid stands up like a sore thumb among my other figures. The actual paint applications are neat and clean, although not particularly noteworthy. PZ-4CO comes packaged with a couple of extra accessories that resemble guns or rocket boosters that clip onto the limbs of the figure. 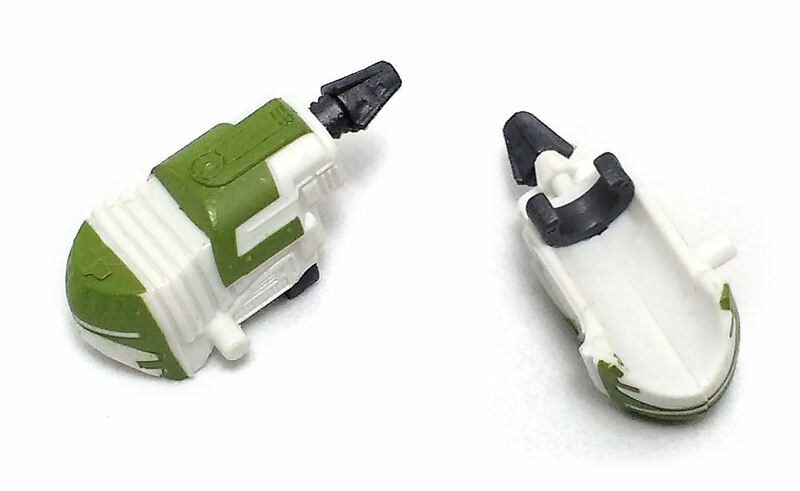 These extra pieces are actually meant to combine with those packed with other figures from this series to form a larger weapon or device. In the case of PZ-4CO, the extra bits don’t add a lot to the fun value of the figure, but are decently detailed and could be useful for someone looking for extra bit for a custom job.. In the end, PZ-4CO won me over with its quirky design and while I don’t particularly like the current amount of articulation built into these figures, I feel the Build-A-Weapon scheme is probably the less satisfying thing going on with this figure.